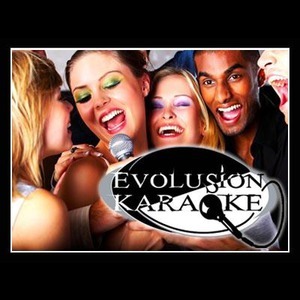 Serving Dade, Broward, Monroe and Palm Beach counties, Evolusion Karaoke is your best choice for the highest quality karaoke and DJ services in the South Florida area. Our DJ's take pride in working with you to make your party one your friends will be talking about for years to come. For any type of event, large or small, our state-of-the-art sound, lighting, and special effects equipment will provide our clients with the best experience possible. You will not be disappointed. Our expert staff will work with you personally to customize a party that is unique to you and your needs. We offer unlimited consultations and are always here to answer any questions you may have and offer you professional advice to ensure your party is a success. We possess an extensive DJ and karaoke song library that is updated with latest hits each month and is sure to meet the needs of any age group for any occasion! Our karaoke library is one of the largest in South Florida, containing over 200,000 tracks and if we don't have it, we'll get it. Evolusion Pro Audio & Karaoke is available for any type of event from house parties and kids parties to corporate events. We cater to any group, large or small, and will guarantee your guests will have an amazing time. Our DJ's are experts at setting the atmosphere, reading a crowd, getting the party started and keeping it going strong. At Evolusion Pro Audio & Karaoke we offer affordable rates and top notch service and quality. We have a variety of packages that are sure to fit any budget. *Sound System rentals- loud speakers, mics, lights, ect. For the first night, everything went well. The girls had a blast with their karaoke party!! Thank you David for helping to make the party such a success!! We would book you again in a second!! Loved Dave! He is great and would hire him again. 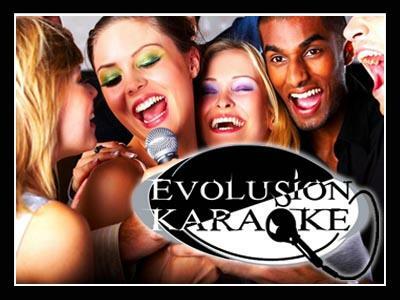 Please note Evolusion Karaoke will also travel to Miami Springs, Hialeah, Coral Gables, Opa Locka, Miami Gardens, Miami Beach, Hollywood, Key Biscayne, Miramar, Pembroke Pines, Hallandale, Fort Lauderdale, Princeton, Homestead, Dania, Leisure City, Florida City, North Lauderdale, Pompano Beach, Coral Springs, Coconut Creek, Lighthouse Point, Parkland, Deerfield Beach, Boca Raton, Key Largo, Delray Beach.